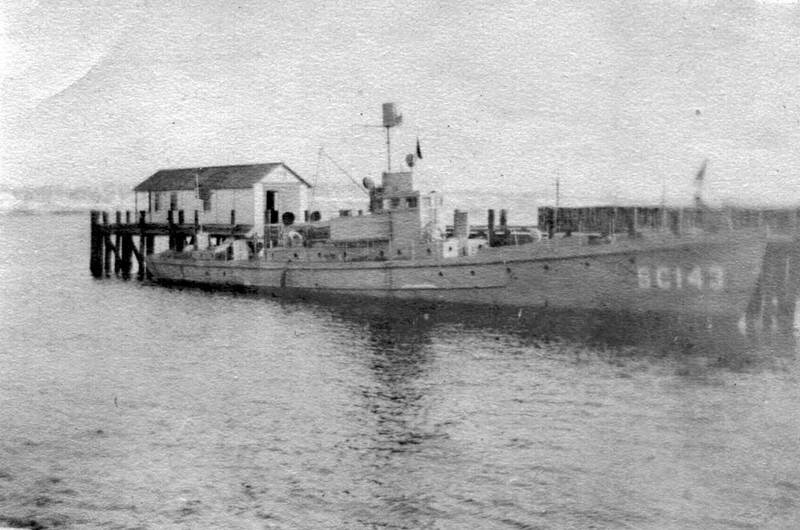 Submarine chaser SC 143 was assigned to Base 27, Plymouth England, under the command of Ens. Alexander Moffat. Moffat wrote about his experiences on the chaser in the book, Maverick Navy. 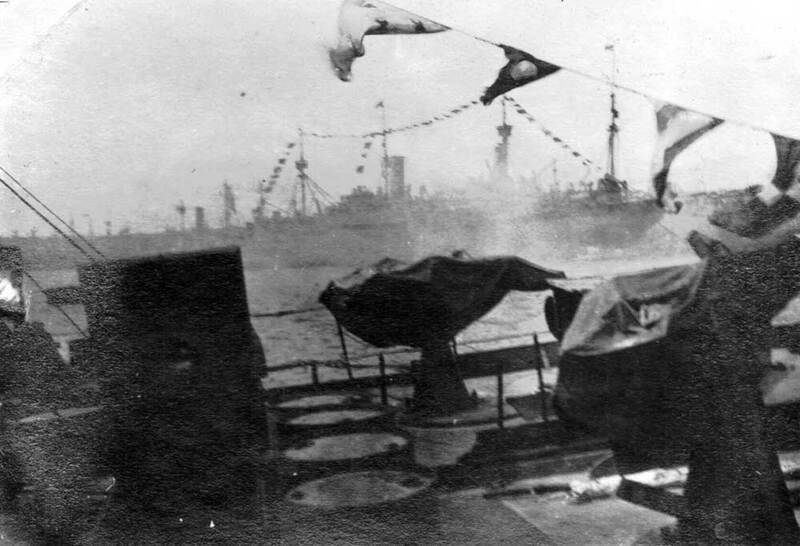 These photographs (except as noted below) are from the collection of crewman Clyde Campbell Thomas, BM2 and later CBM. 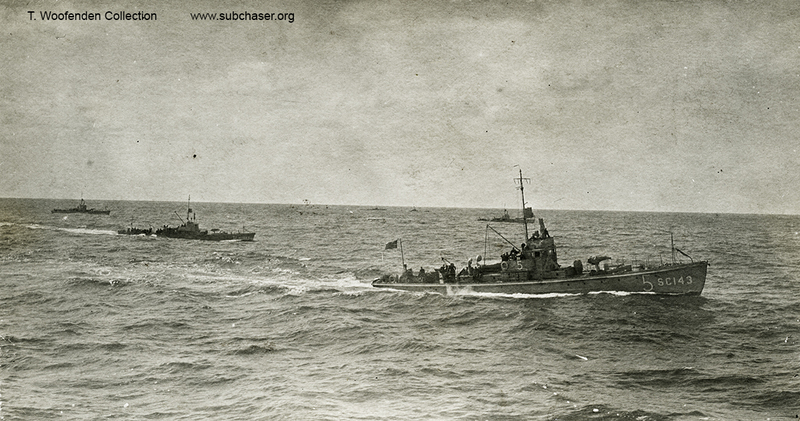 Thanks to Phil Pomber, his grandson, for submitting the images to The Subchaser Archives. 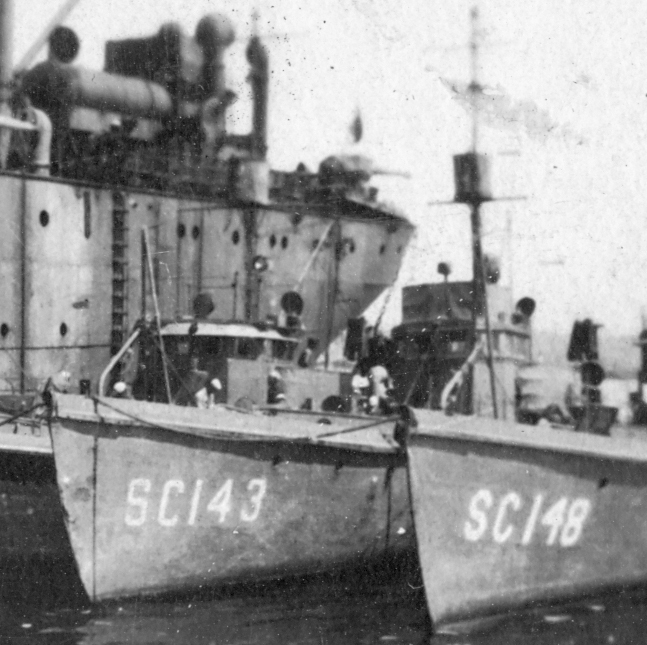 The image of SC 143 alongside SC 148 is from the Collection of the National World War One Museum, Kansas City, MO. Thanks to Jonathan Casey for submitting the photo scan. 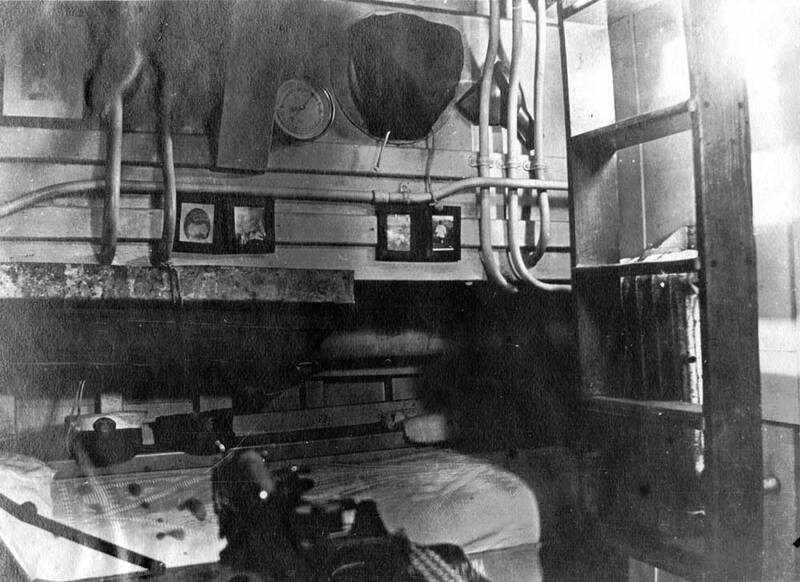 Editor's Note: Especially noteworthy is the interior photo, showing what appears to be the officer's quarters. This is one of only two or three photos I've seen showing the officer's quarters, and I think the only one showing this angle. The typewriter on the desk in the foreground would be a typical device found on the captain's desk (and not somewhere else on board). 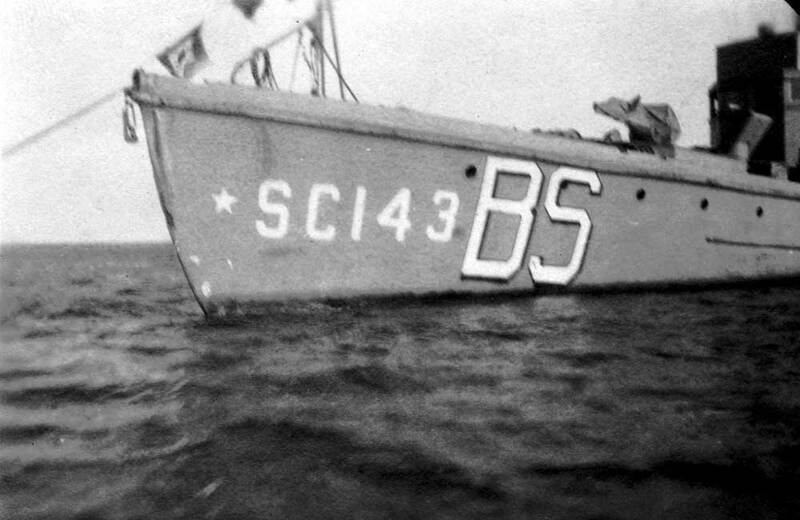 Also note the photo showing a star painted on the bow of the boat. This probably signified a presumed submarine kill, although SC 143 was not credited with sinking a submarine.